This is the web log of publications and activities of Ron Dart, who teaches in the department of political science, philosophy, and religious studies at the University College of the Fraser Valley, Abbotsford, BC, Canada. 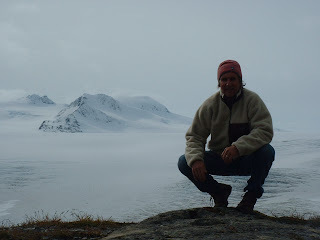 This blog is the website for Ronald S. Dart, university professor, mountaineer and mentor. You'll find many of his articles at the Clarion Journal website and can order his book, The Beatitudes: When Mountain Meets Valley by clicking here. Welcome to the journey. Adam: Rationalists, Romantics and Prophets: Dialogical Reflections: Hamilton: Chelsea Press, 1985. ‘Snapshots: A Tale of Two Cities’, SHAIR: International Forum: Summer 1987. ‘Howl Revisited’, Wheat and Chaff: Volume 1, number 4, Fall 1987. ‘Refugees: Those We Let in. Those We Keep Out’, SHAIR: International Forum: November 1987. ‘Response to Howl Revisited’, Wheat and Chaff: Volume 2, Number 1, Winter 1988. ‘A Light in the Darkness: Trident Submarines and the West Coast Bangor Naval Base’, Briarpatch: Volume 17, Number 3, April 1988. Book Review of ‘The Closing of the American Mind’, Wheat and Chaff: Volume 2, Number 2, Spring 1988. ‘Reactive Refugees Bills Could Weaken Policy’, Catalyst: Summer 1988. ‘The Universal Declaration of Human Rights: 40th Anniversary Part II: Amnesty International Group 1 Newsletter: Summer 1988. ‘Religion and Human Rights’, SHAIR: International Forum: October 1988. ‘Noam Chomsky Visits McMaster’, Get Up! Stand Up! : A Community Newspaper for Resistance and Change (Rick McCutcheon): Autumn 1988. ‘Crimes of the Official Terror Network’, Wheat and Chaff: Volume 2, Number 3, Fall 1988. Book Review of ‘Cry of the Oppressed: The History and Hope of the Human Rights Revolution’, Amnesty International BC/Yukon Region Newsletter: March 1989. ‘Ron Dart and Amnesty International’, The Candle: Amnesty International: Fall 1989. ‘Love, Power and Justice’, The Net: Centre for Justice and Peace: 3rd edition, December 1989. ‘You Can Free Prisoners of Conscience: An Interview’, At Your Service: Stories of Canadians in Mission I (Grant Maxwell): Ottawa, Canadian Conference of Catholic Bishops, 1989. Book Review of ‘Closing the Doors: The Failure of Refugee Protection’, Amnesty International BC/Yukon Region Newsletter: June 1990. ‘A Quiet little Genocide: Canada gets cozy with third world tyrant: the case of East Timor’, The Catalyst: Volume 13, Number 6, September 1990. ‘Religion and Human Rights’, Wheat and Chaff: Volume 3, Number 2, Winter 1990. Book Reviews of ‘The Catholic Peace Tradition’ and ‘The Culture of Terrorism’, Wheat and Chaff: Volume 3, Number 2, Winter 1990. ‘Religion and Human Rights II’, Wheat and Chaff: Volume 3, Number 3, Spring/Summer 1990. ‘Amnesty International: A Prophetic Voice’, Christian News: September 23 1990. Book Review of ‘Toward a Jewish Theology of Liberation: The Uprising and the Future’, Shalom Canada: Fall 1990. ‘Social Justice and Evangelism’, Evangelism through the Local Church (Michael Green): London: Hodder & Stoughton, 1990. ‘Amnesty International and the Middle East (DVD)’, Fraser Valley College Conference on the UN backed-USA led invasion of Iraq: February 1990. Book Review of ‘Toward a Jewish Theology of Liberation’, Wheat and Chaff: Volume 4, Number 1, Fall 1991. ‘People with a Reason: Ron Dart and Amnesty International’ by Esther McIIveen, Easy Living: Volume XII, Number 1, January 1992. ‘Amnesty International: An Interview’, Paddington Informal: Number 16, October 1992. ‘Amnesty International and International Relations’, Amnesty International BC/Yukon Newsletter: December 1992. ‘Prophetic Spirituality: Markings for the Journey’, Alive to God: Studies in Spirituality: Presented to James Houston---edited by J.I. Packer & Loren Wilkinson): Illinois, Intervarsity Press, 1992. ‘Amnesty International and International Relations I’, Paddington Informal: Number 17, March 1993. ‘Matthew Fox and Creation Spirituality’, InCourage: Volume 7, Number 1, Summer 1993. The Marks (Notae Ecclesiae) of the Church and Renewal : Abbotsford, Chelsea Press, 1993. Book Review of ‘ The Renewal of Anglicanism’, Christian Week: March 29 1994. ‘In Mars We Trust’, UCFV Cascade: Volume 1, Number 12, April 13, 1994. ‘Display of military Muscle shouldn’t be seen as family entertainment’, Christian Info News: September 1994. Book Review of ‘On the Eve of the Millenium’, The Cascade: January 18 1995. ‘The Sword, the Flag and the Cross’, The Cascade: March 15 1995. “Ramboism and the Abbotsford Air/Trade Show’, Tempo: Summer 1995. ‘Three Essays: The Sword, the Flag and the Cross/Canada, Economics and Human Rights/Human Rights Day, Harmony: Voices for a Just Future: Volume 5, Number 4, August 1995. ‘Prison for Protesting Mars’, Harmony: Voices for a Just Future: Volume 5, Number 4, August 1995. ‘Family Entertainment or Mecca of Militarism: The Abbotsford Air/Trade Show’, Briarpatch: Volume 24, Number 7, September 1995. This article was listed by the SFU Project Censored Canada as one of the 10 most ignored articles by the major media in 1995. ‘Canadian Ramboism at the Abbotsford Air-Trade Show’, Peace Magazine: September/October 1995. ‘Ramboism and the Abbotsford Air/Trade Show’, The Cascade: September 8 1995. ‘Prophetic or Civil Religion: The Anglican Dilemma’, Anglican Essentials: Reclaiming Faith within the Anglican Church of Canada (edited George Egerton): Toronto: Anglican Book Centre, 1995. ‘Censured Letter from Mordechai Vanunu in Ashkelon Prison: Israel’: April 1996. ‘Coleridge and the English Jacobins’, The Coleridge Bulletin: Spring 1996. ‘Divine Silence, Mars and Prison’, Harmony: Voices for a Just Future: Volume 5, Number 6, June 1996. ‘Liberal Education as Hegemony’, Centre Points: Volume 2, Number 2, Fall 1996. ‘The Censured Life of Mordechai Vanunu: Interview James Kwantes’, Christian Courier: November 22 1996. “Anglican activist takes a stand against violence and injustice’, Topic: November 1996. ‘Prophetic Spirituality: Markings for the Journey’, World’s Apart: Issue # 1, 1996. ‘The Abbotsford Air/Trade Shows: A Public Debate with Admiral Ed Healey: Brian Stiller Moderator’, Crosscurrents: Autumn 1996 (DVD). ‘The Oxford Movement and the Politics of Deification’, Fellowship Papers: Winter 1996-1997. ‘Amnesty and Boycotts’, Amnesty International: The Activist: April/May 1997. Contributor to ‘Political Primer for the 1997 Federal Election: Who Cares? Political Leadership and the common good’, Citizens for Public Justice: May 1997. Book Review of ‘Their Blood Cries Out: The Growing Worldwide Persecution of Christians’, The Catalyst: Volume 20, Number 3, June/July 1997. Contributor to ‘Tough Choices: A Non-Partisan look at the Election in British Columbia’. ‘The Canadian Catholic Anglican Tradition I: The Anglican Catholic: Journal # 7, Fall 1997. ‘Poverty’ & ‘Social Action’, The Complete Book of Everyday Christianity: Illinois, InterVarsity Press, 1997. ‘Amnesty International and Armed Intervention’, Amnesty International: The Activist: December 1997/January 1998. ‘The Canadian Catholic Anglican Tradition II: The Anglican Catholic: Journal # 8, Winter 1998. ‘Beyond Clan Politics: A Consistent Stand Against Persecution’, Sojourners: January/February 1998. ‘John Van Dongen, Ed Broadbent, Ron Dart: Post UCFV Dialogue’, Rogers TV (DVD): February 12 1998. Book Review of ‘Reclaiming the Great Tradition’, Crux: Volume XXXIV, No.1, March 1998. ‘World Religions 1-2: Interview with Manpreet Grewal’, Cross Cultural TV (DVD): April 7 1998. ‘The Canadian Catholic Anglican Tradition III: The Anglican Catholic: Journal # 9, Spring 1998. ‘The Conservative Tradition and the Red Tory Vision’, The Cascade: September 30 1998. ‘George Grant: 10 Year Post-Mortem Reflections’, BC Christian News: October 1998. The Red Tory Vision, Dewdney: Synaxis Press, 1998. In A Pluralist World (with J.I. Packer): Vancouver: Regent Bookstore: 1998. ‘Amnesty International Interview with Manpreet Grewal’, Cross Cultural TV program (DVD), March 1999. ‘The Red Tory Tradition and the Council of Canadians’, Public Voice: Number 2, July 1999. ‘The Wind and Harp Strings’, Harmony: Voices for a Just Future: Volume 7, Number 2, August 1999. ‘Stephen Leacock and the Red Tory Tradition’, The Cascade: September 23 1999. ‘The Third Eye: Looking into the soul of a culture (with Elaine Briere)’, Briarpatch: Volume 28, Number 9, November 1999. ‘The United Alternative and the Conservative Tradition’, Volume 1, Issue 1, Easter 1999. ‘Anglocanadian Toryism and Angloamerican Conservatism’, Volume 1, Issue 2, Trinity 1999. ‘Book Review of ‘Treason of the Intellectuals: English Canada in the Post-Modern World’, Volume 1, Issue 2, Trinity 1999. Book Review of ‘No Power but of God: Political Theology: The Christian’s response to the State’, Volume 1, Issue 3, All Souls/All Saints, 1999. ‘Stephen Leacock and the Red Tory Tradition: The Doctrine of Laissez-faire to Great Canada: An Appeal’, Volume 1, Issue 3, All Souls/All Saints, 1999. ’The Anglican Church of Canada: The Path Before Us’, Volume 1, Issue 4, Christmas 1999. ‘Stephen Leacock and the Red Tory Tradition: The Journey to The Unsolved Riddle of Social Justice’, Volume 1, Issue 4, Christmas 1999. Book Review of ‘George Grant and the Subversion of Modernity: Art, Philosophy, Religion and Education’ & ‘Reflections of a Siamese Twin: Canada as the End of the Twentieth Century’, Volume 1, Issue 4, Christmas 1999. Book Review of ‘Being Canadian in Dirty Imperialist Times’, Volume 2, Number 1, Easter 2000. ‘Janus: Turning Right, Turning Left’, Volume 2, Number 1, Easter 2000. ‘The Canadian Political Tradition: The Nationalist Vision: A Report on the Conference on Canadian Nationalism at UCFV February 4-5 2000’, Volume 2, Issue 1, Easter 2000. Book Review of ‘Out of the World: A Biography of Milton Acorn’, Volume 2, Issue 2, Trinity 2000. Book Reviews of ‘Locations of the Sacred: Essays on Religion, Literature and Canadian Culture’ and ‘Faith and Fiction: A Theological Critique of the Narrative Strategies of Hugh MacLennan and Morley Callaghan’, Volume 2, Issue 3, All Souls/All Saints 2000. Book Review of ‘The Rights Revolution’, Volume 2, Issue 4, Christmas 2000. Book Review of ‘A Companion to the Waterloo Declaration: Commentary and Essays on Lutheran-Anglican Relations in Canada’, Volume 3, Number 1, Easter 2001. ‘The Anglican Church of Canada and the Essentials II Conference’ & Book Review of ‘Thirty-Two Short Views of Mazo de la Roche: A Biographical Essay’, Volume 3, Number 2, Trinity 2001. “Two Poems: ‘9-11: Attack on America’ & ‘National Anthem’, Volume 3, Issue 3, All Souls/All Saints 2001. ‘Introduction’, Volume 4, Number 1, Easter 2002. Book Review of ’Canadian Intellectuals, The Tory Tradition, and the Challenge of Modernity, 1939-1970’ & ‘The Anglican Church of Canada: A Literary Landscape’, Volume 4, Number 2, Trinity 2002. Book Review of ‘Collected Works of George Grant Volume I (1933-1950)’, Volume 4, Number 3, All Souls/All Saints 2002. Book Review of ‘Stephen Leacock: Humorist and Humanist’, Volume 4, Number 4, Christmas 2002. ‘Leacock and the Political Left’, Volume 5, Number 1, Easter 2003. ‘Stephen Leacock and the Doctrine of Laissez-Faire’ & ‘Milton Acorn and Marya Fiamengo: Red Tory Poets’, Volume 5, Number 2, Trinity 2003. ‘What is Canadian Conservatism?’ & ‘The Canadian High Tory Tradition and Our New Republican Party’, Volume 5, Number ¾, All Souls/All Saints/Christmas 2003. ‘The Canadian High Tory Tradition and Our New Republican Party’, Volume 6, Issue 1, Easter 2004. ‘Marya Fiamengo: Red Tory Poet’, Volume 6, Issue 2, Trinity 2004. ‘Donald Creighton and Eugene Forsey: Tory Historian Meets Radical Traditionalist’, Volume 6, Issue3, Epiphany 2005. ‘Stanley Hauerwas and Noam Chomsky: Anarchist Affinities’, Volume 6, Issue 3, Epiphany 2005. ‘The Parish and Cathedral Church of St. James Toronto: 1797-1997 (Book Review), Journal of the Canadian Church Historical Society: Volume XLII, Number 1, Spring 2000. ‘Ancient Faith or Religious Pluralism? Here I Stand’, InCourage: Volume 13, Number 1, Issue 1, 2000. ‘The Canadian Oxford Movement: The King’s College Tradition’, The Anglican Catholic: Journal # 12, Winter 2000-2001. ‘The Season’, Jubilate: Volume 1, # 3, December 2000. ‘Stephen Leacock: Pioneer of the Red Tory Tradition’, Searching for Canada: The Red Tory Journey: Dewdney: Synaxis Press. 2000. ‘The Dilemma of Contemporary Education: Knowledge, Wisdom, Citizenship, Nationalism’, The Red Tory Journal: Volume 1, Number 1, Summer 2001. ‘Transformed Druids’, Jubilate: Volume 2, #3, June 2001. ‘Robe Me’,Jubilate: Volume 2, #4, September 2001. ‘UCFV 9/11 Forum on Terrorism (DVD)’, October 16 2001. ‘C.S. Lewis and George Grant: A Tale of Two Anglican Tories’, The Canadian C.S. Lewis Journal: Number 100, Autumn 2001. ‘The Anglican Church of Canada and the Essentials II Conference’, The Anglican Catholic: Journal # 13, Winter 2001-2002. ‘Advent’ & ‘Come to Me on the Mountain’, Jubilate: Volume 2, #5, December 2001. ‘The Anglican Church and the Culture Wars: Transcending Ethical Tribalism’, Canadian Anglicanism at the Dawn of a New Century: New York: Mellon Press, 2001. ‘Ambrose of Milan’ & ‘Monica’, Jubilate: Volume 3, #1, February 2002. ‘The Wind’, Harmony: Voices for a Just Future: Volume 8, Number 1, March 2002. ‘Anglican Poets in the Diocese of New Westminster’, Topic: Volume 33, Number 4, April 2002. ‘C.S. Lewis and George Grant: A Tale of Two Anglican Tories’, Pilgrimage: Volume 9, Number 2, April 2002. ‘Social Action in the Depression Era: time of the Red Vicar of the Valley at St. Matthew’s Abbotsford’ Topic: May 2002. ‘Collected Works of George Grant: Volume 1: 1933-1950: Book Review’, Canadian Journal of Political Science: September 2002. ‘The Human Rights Debate: Ron Dart versus George Weigel’, Crosscurrents: International Relations in the Post-Cold War Era (3rd Edition: Edited by Mark Charlton): Toronto: Nelson Education, 2002. ‘What is Canadian Conservatism?’, November 25 2003. ‘The Canadian High Tory Tradition and Our New Republican Party’, December 18 2003. ‘Janus and 9/11’, January 28 2004. ‘New National Anthem’, January 29 2004. ‘The Canadian Way: Colonials, Compradors, Nationalists’, February 19 2004. ‘Ernest Manning and George Grant: Who is the Real Conservative?’, February 20 2004. ‘Margaret Atwood versus Robin Mathews: Canadian Identity’, February 26 2004. ‘Stephen Leacock: High Tory’, March 8 2004. ‘Noam Chomsky and the Canadian Way: Anarchism or Nationalism?’, March 17 2004. ‘Stephen Leacock and the Left’, March 26 2004. ‘Mazo de la Roche and Dorothy Livesay: Tory meets Radical’, April 21 2004. ‘Canadian Political Poets: Milton Acorn and Robin Mathews’, May 17 2004. ‘Noam Chomsky meets Robin Mathews’, May 31 2004. ‘Canadians are not Americans: Book Review’, July 24 2004. ‘Dorothy Livesay and Milton Acorn: Poems for People and More Poems for People’, August 21 2004. ‘Think Freedom: Book Review’, September 13 2004. ‘The American Empire, Canadian Compradors and the Calgary School: A Tory Talks Back’, October 5 2004. ‘Donald Creighton and Eugene Forsey: Tory Historian meets Radical Traditionalist’, November 1 2004. ‘Gary Snyder, the Beats and Robin Mathews’, December 24 2004. ‘Grant’s Lament for a Nation: 40 Years Later’, March 8 2005. ‘Allen Ginsberg and George Grant’, March 24 2005. ‘The American Beats and the Canadian West Coast Culture Wars’, June 19 2005. ‘Marya Fiamengo: Nationalist Poet Extraordinaire’, November 7 2005. ‘Noam Chomsky and Maude Barlow: Anarchist Affinities’, April 4 2005. ‘Robert Service: People’s Poet’, April 6 2005. ‘On the Front Line of Life: Book Review’, April 10 2005. ‘Elizabeth Parker and the Alpine Club of Canada’, July 6 2005. ‘The Evangelical Sanhedrin and Republicanism’, August 9 2005. ‘Canadian Republicanism and Christian Zionism’, August 24 2005. ‘If Only Canadians Knew the Real Story of Afghanistan: Father and Son Conversation’, September 11 2005. ‘Stephen Leacock: A Centennial Celebration’, October 5 2005. ‘Charles Taylor and the Hegelian Eden Tree: Canadian Philosophy and Compradorism’, May 1 2006. ‘Peter Dale Scott: The Meeting of Poetry, Prose and Politics’, March 19 2006. ‘Thomas Merton and George Grant: Hawk’s Dream, Owl’s Insights’, Newsletter/Communique: Canadian Theological Society: Volume 23/1, Fall 2003. ‘Thomas Merton and George Grant: Hawk’s Dream, Owl’s Insights’, The Thomas Merton Society of Canada Monograph # 2: Winter 2004. ‘Thomas Merton and Alan Watts: Contemplative Catholic and Oriental Anarchist: Journal of the Thomas Merton Society of Great Britain and Ireland: Volume 11, Number 2, Advent 2004. ‘Thomas Merton and George Grant: Hawk’s Dream, Owl’s Insights’, The Merton Annual: Studies in Culture, Spirituality, and Social Concerns: Louisville: Fons Vitae, 2004. ‘Erasmus and Merton: Soul Friends’, The Merton Seasonal: A Quarterly Review: Volume 30, Number 3, Fall 2005. Erasmus and Merton: Abbotsford: Chelsea Press, 2006. Thomas Merton and the Beats of the North Cascades (Illustrations by Arnold Shives). Vancouver: Prospect Press, 2006. ‘Thomas Merton, Leslie Dewart, George Grant and the 1963 Federal Election in Canada’, The Merton Seasonal: A Quarterly Review: Volume 32, Number 4, Winter 2007. ‘Thomas Merton and Mountains’, Journal of the Thomas Merton Society of Great Britain and Ireland: Volume 14, Number 2, Advent 2007. ‘Thomas Merton and Alaska’, The Merton Seasonal: A Quarterly Review: Volume 33, number 4, Winter 2008. Thomas Merton and the Beats of the North Cascades (2nd edition): 2008. ‘Eagle River, Alaska, and Thomas Merton: Forty years After (1968-2008)’, Thomas Merton Society of Canada: Winter 2009. ‘C.S. Lewis and Thomas Merton: Affinities’, Journal of the Thomas Merton Society of Great Britain and Ireland: Volume 17, Number 2, Advent 2010. ‘Thomas Merton: Peacemaker’, Verge Journal: Volume 1, Number 1, Spring 2011. ‘Thomas Merton and Nouvelle Theologie’, Clarion Journal: July 4 2011. ‘The Behavior of Titans: Review’, August 25 2011. ‘Charles Hill-Tout, 1895-1944: Visionary of the Valley’, First Nations and First Settlers in the Fraser Valley (1890-1960): Kitchener: Pandora Press, 2004. ‘Sumas Energy Two Power Plant: SE2’, Down in the Valley: Contemporary Writing of the Fraser Valley: Victoria: Ekstasis Editions, 2004. ‘Radical Compassion: The Life and Times of Ted Scott: Book Review, Topic: October 2004. ‘Differences between Americans and Canadians on religion, politics and morality’ (Doug Todd interview with Dart), The Vancouver Sun: Observer: July 30 2005. ‘Darkness into Light: Thomas Merton’s Lonely Metaphysics’, The Pacific Rim Review of Books: Issue Two, fall 2005. ‘Stephen Leacock and George Grant: Tory Affinities’, Athens and Jerusalem: George Grant’s Theology, Philosophy, and Politics (edited by Ian Angus, Ron Dart, Randy Peg Peters): Toronto: University of Toronto Press, 2006. ‘Religion in the Liberal Polity’(Book Review), Anglican Theological Review: Volume 88, Number 1, Winter 2006. ‘Stephen Harper is no Tory’ (Terry Glavin interview): The Georgia Straight: February 2-9 2006. ‘Divinization, the Church and Prophetic Politics in Our Post 9/11 World’, Stricken by God? NonViolent Identification & the Victory of Christ: Michigan: Eerdmans Press, 2007. ‘Mountains and the Soul: Contemplation, Ecology and Politics’, Topic: May 2008. ‘Doug Beardsley: Christian Bard of BC’, Imago: Volume 10, Issue, 3, Autumn 2008. ‘T.S. Eliot and C.S. Lewis: Discord and Concord’, Pilgrimage: Volume 16, Number 1, January 2009. ‘Biblical Judaism, Zionism and the Palestinian Question’, Abbotsford News: January 31, 2009. ‘Milton Acorn: Toronto’s Gadfly’, History Wire: September 2009. ‘Conrad Kain’, The Canadian Encyclopedia: October 2009. ‘Mountaineering’, The Canadian Encyclopedia: October 2009. ‘C.S. Lewis and Thomas Merton: Poetic Affinities’, Pilgrimage: Volume 16, Number 2, October 2009. ‘Robin Mathews’, The Canadian Encyclopedia: Novermber 2009. ‘The Coast Mountains Trilogy: Mountain Poems, 1957-1971’ (Book Review), Pacific Rim Review of Books: Issue 12, Fall/Winter 2009. ‘Symposium on Deep Structural Fear’, Archbishop Lazar, Brad Jersak, Ron Dart: December 2009. ‘The Canadian Scene: Tensions within the Canadian Evangelical Tradition’, Archbishop Lazar, Brad Jersak, Ron Dart: March 2010. ‘The Canadian Scene: Religion and Politics’, Archbishop Lazar, Brad Jersak, Ron Dart: May 2010. ‘’Natural Law: A Symposium’, Archbishop Lazar, Brad Jersak, Ron Dart: July 2010. ‘Marci McDonald and The Armageddon factor’, Archbishop Lazar, Ron Dart: August 2010. ‘Israel, Palestine and the Prophetic Tradition’, Archbishop Lazar, Ron Dart: November 2010. ‘Language of Fire: The Rhetoric of Hate and Violence’, Archbishop Lazar, David Goa, Ron Dart: February 2011. ‘To Hell or not to Hell That is the Question’, Archbishop Lazar, Kevin Miller, Ron Dart: April 2011. ‘The Federal Election and red Tories’, Archbishop Lazar, Ron Dart: June 2011. ‘Dancing with Caesar’, Archbishop Lazar, Brad Jersak, Ron Dart: July 2011. ‘Thomas Merton: Prophet of the 20th Century’, Archbishop Lazar, Ron Dart: August 2011. ‘Marya Fiamengo’, The Canadian Encyclopedia: February 2010. ‘West Coast Literary-Political Clashes, 1960-1985’, UFV Research Review: Landscape, Self and Intercultural Narratives in BC and Pacific Northwest Literature: Volume 3, Issue 1, Winter 2010. ‘Red Toryism’, The Canadian Encyclopedia: February 2010. ‘Hans Gmoser’, The Canadian Encyclopedia: February 2010. ‘Doug Beardsley’, The Canadian Encyclopedia: March 2010. ‘Mahatma Gandhi and George Grant: Deeper Nationalisms’, Gandhi and Grant: Their Philosophical Affinities: Delhi: Indian Academic Excellence, 2010. ‘George Grant and Hinduism’, Gandhi and Grant: Their Philosophical Affinities: Delhi: Indian Academic Excellence, 2010. ‘West Coast Literary-Political Clashes: 1960-1985, Making Waves: Reading BC and Pacific Northwest Literature (Edited by Trevor Carolan): Vancouver, Anvil Press, 2010. ‘Christianity, Zionism and Antisemitism’, Holy Land Studies: A Multidisciplinary Journal: Edinburgh: Edinburgh University Press: Volume 9, Number 2, November 2010. ‘Introduction’, Alphabetically Abbotsford: People..Places..Parks: Abbotsford: University of the Fraser Valley Press, 2010. Outside the Walls: the Churches in Abbotsford (CD). Participant, 2010. ‘Hadji Murad: A Tale for Our Time’, Iskra: Voice of the Doukhobors: Number 2038, January 2011. ‘The Tolstoy Conference at University of the Fraser Valley’, Tolstoy Studies Journal: Vol. XXII: 2011. ‘Lev Tolstoy and Clarence Bauman: Sermon on the Mount Affinities’, Roots and Branches: Periodical of the Mennonite Historical Society of BC: Volume 17, Number 2, May 2011. 'The Canadian High Tory Anglican Tradition: Bishop John Strachan, Stephen Leacock, George Grant,' New York, Renewal, 2014. 'Thomas Merton: Wild Bird,' We are Already One: Reflections in Honor of His Centenary (1915-2015). Ronald S. Dart, university professor, mountaineer, and author.